للمسافرين الذين يرغبون أن يعيشو كل ما تقدمه بيكتون, Picton Yacht Club Hotel هو الخيار الأمثل. إن موقعه الجيد الذي يبعد فقط عن مركز المدينة يساعد النزلاء على الاستمتاع بمعالم المدينة ونشاطاتها. إن سهولة الوصول من الفندق إلى المعالم السياحية الشهيرة الكثيرة في المدينة كمثل كوجر لاين, باشكومبر فان, دولفن ووتش هو استثنائي بحد ذاته. إن Picton Yacht Club Hotel حريص على توفير الراحة للنزلاء، فلا يوفر الموظفون جهداً في تقديم أفضل الخدمات وضمان حسن الاستقبال. تتضمن الميزات الرئيسية في هذا الفندق: واي فاي مجاني في جميع الغرف, أمن على مدار 24 ساعة, خدمة التنظيف يوميًا, خدمة غسيل ذاتية, مرافق مخصصة لذوي الاحتياجات الخاصة. بالإضافة لهذا,تتضمن كل غرف الضيوف مجموعة واسعة من وسائل الراحة . بعض الغرف توفر حتى تلفزيون بشاشة مسطحة, سجاد, قهوة فورية مجانية, شاي مجاني, بياضات لإرضاء أكثر الضيوف تطلباً. يقدم الفندق مجموعة رائعة من الخدمات كمثل مركز للياقة البدنية, حمام سباحة خارجي، لجعل إقامتك تجربة لا تنسى. إن كنت تتطلع إلى إقامة مريحة وهادئة في بيكتون، فستجد في Picton Yacht Club Hotel بيتك الثاني. Modern and clean hotel in a prime location. Select a room (deluxe or superior) with a balcony (facing the pool or harbour) and you will be rewarded with a retreat where you can wind down with some food and wine while enjoying a great view and an accompanying cool sea breeze. 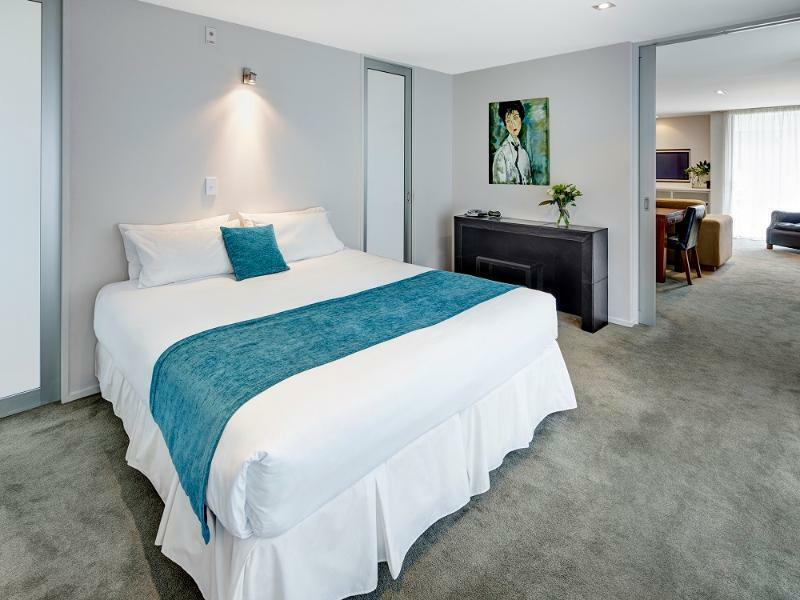 The standard garden view room are modern, clean and affordable (especially if booking in advance). However, they don’t take advantage of the great location and feel somewhat claustrophobic. Only stayed overnight off the ferry (which was 3 hours late), but king size bed was nice, view was great and the room was spacious. 24-hour reception was appreciated and there was no problem checking in at 3am. Pros- 2 mins away from the town. Walking distance. Welcoming receptionist. Spacious room. 2 mins away from the stunning harbour. Cons - Pillows weren’t that comfortable. The elevator is at the very end which is inconvenient for customers with heavy luggage. We stayed here after getting off the ferry from Wellington. Staff are friendly and helpful. There is a lift if you are on the third floor, but it is out of the way. The laundry is good. The area has plenty of shops, cafes etc unfortunately for us it was Easter weekend so most were closed. We would stay here again. I booked the hotel in the morning before driving to the hotel that night. The reservation was mistakenly made for the next night. Though it was the non-refundable, it was not that I changed my mind or cancel. The hotel insisted that I had to pay for the check in night and remain the booking and payment of following night without staying. People who have never done anything wrong in their life would understand that. The room had aluminium foil on the floor. Bed was comfortable, but all other things worn out, scratches doors and such. I regret finding NZ this way. Well, the bed is small for queen size. 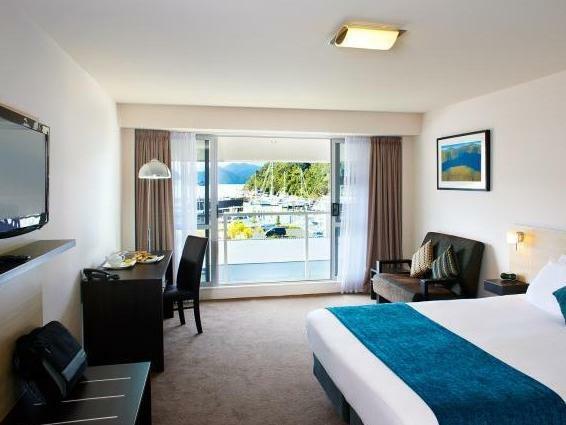 We choose this hotel particularly because its location near the ferry terminal. Having say this, we enjoy our stay here. 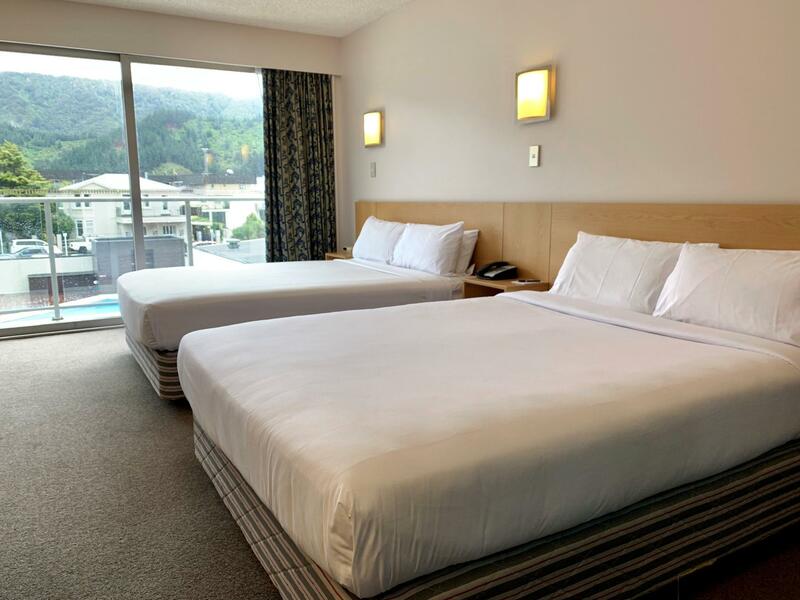 I personally think this is the best place to stay in Picton, great location, easy walk to the ferries, clean, very comfy bed & most importantly friendly staff. Many thanks Linda. Would highly recommend this hotel. Purchased the standard double: Their most basic accomodation. Room was large and modern with a king bed. I was Fortunate to have one if the few standards that have harbour views. Most standards face the road. 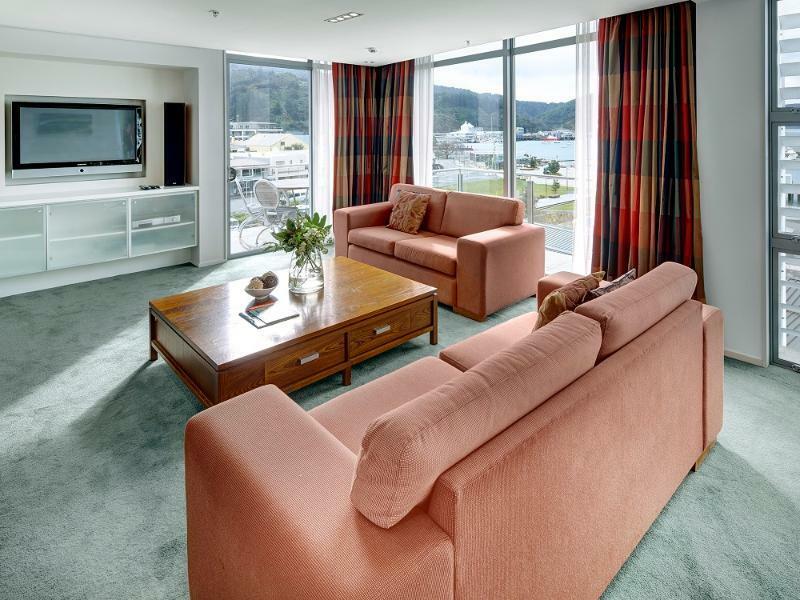 I usually purchase a superior room, which has a balcony and faces the harbour/pool. However, there were no discounts on these rooms this time and I was only there for one night so chose the cheaper standard room. I have had a few issues with this hotel, in that, when I have paid extra for a superior (ie pool or harbour views) I have been directed to a lower priced double. This has happened on a number of occasions, and I have been forced to argue my case to get what I paid extra for. Frustrating! If it was not for the fact that this is arguably the nicest hotel in Picton (taking into account price, location, facilities, cleanliness, and modern furnishings), I would have taken my business elsewhere... I now just make sure that I specify exactly what I want in booking remarks. The staff can be hit and miss (excellent on this occasion) and I have not tried the restaurant (dinner or breakfast) as there are many restaurants, and some standout take away places in town. Wifi was very good! Unbeatable location, spacious room w good view. 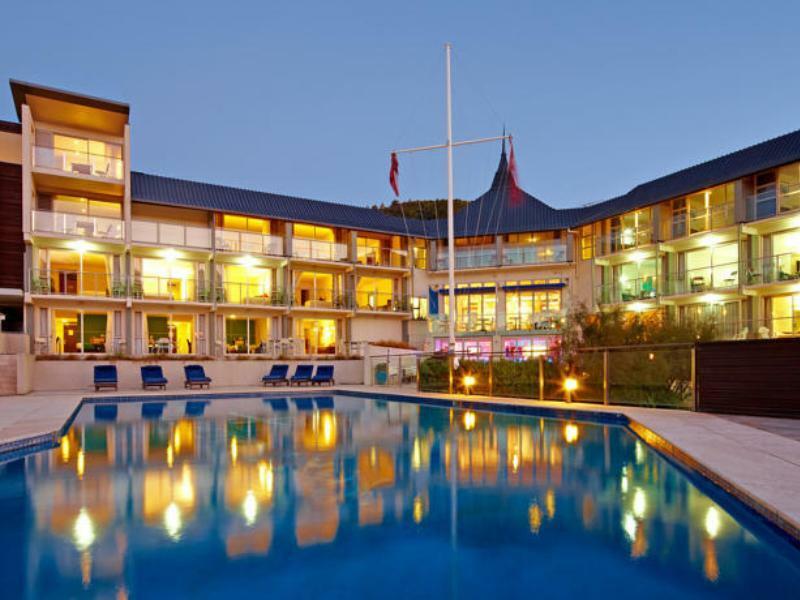 Nothing beats Picton Yacht Club Hotel before / after your ferry ride at Picton. Clean and sufficiently appointed. Try Oxley Rock for a good casual pub food dinner. Thanks. Booked 2 rooms but were given in different level. Rooms given does not have access to lift so quite an hassle with the heavy luggage. Room size is reasonable. Within walking distance to restaurants and cafes. Staffs were friendly to give recommendations. Overall a comfortable stay. Good location and nice view of the bay. Close and easy to talk to town from. never ate at the hotel. Pool was nice but rooms get warm if facing the sun all day and there are no dividers between the rooms out on the deck so they are all connected and open which seemed a bit weird. 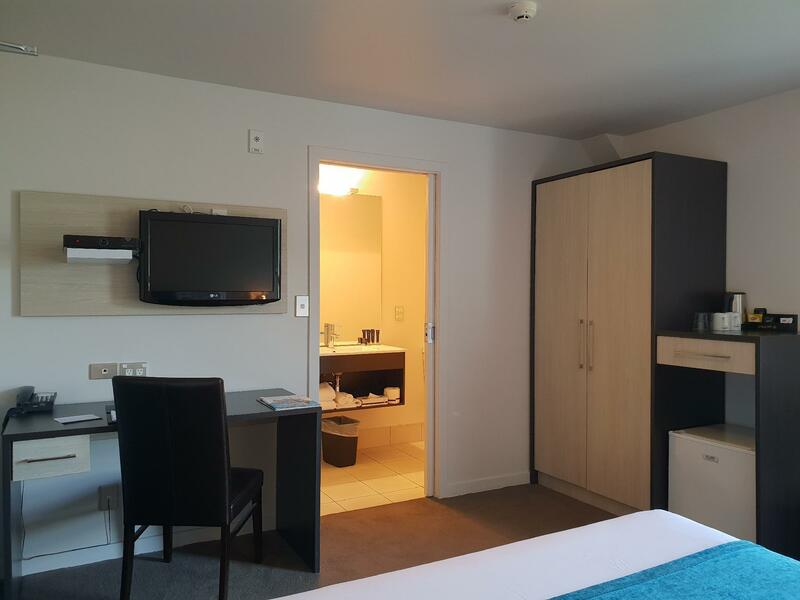 I got a great winter time deal on Agoda and was very happy with my stay. 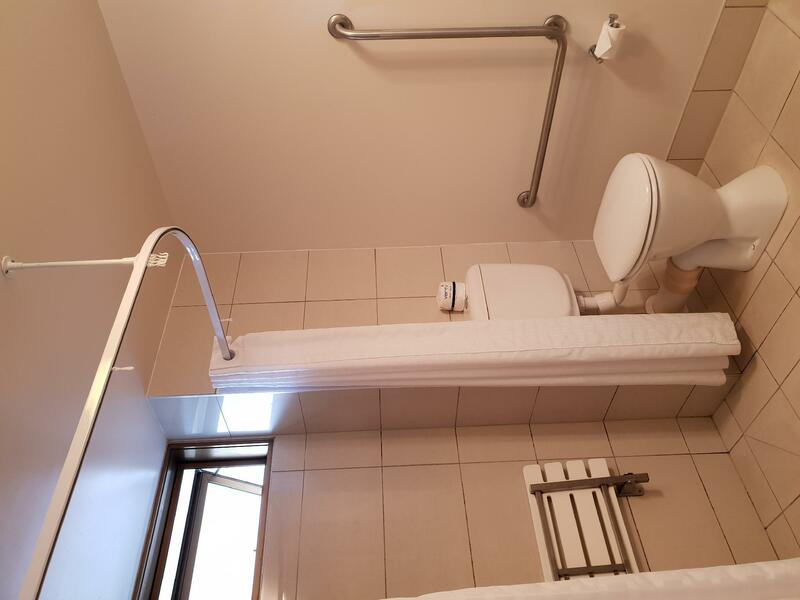 An excellent location, close to Picton Center, cafes restaurants, shopping etc. Staff were accomodating having arrived super early on the over night inter islander at 8:00 am on Christmas Eve, the staff managed to have a standard room ready for us at a nominal charge of only 40$ whilst our Apartment was prepared, gave us the much needed rest & clean up after having been up and travelling for 30 hrs. Thank you. It’s a basic motel in a great location. No complaints at all. The pool was freezing but oh well. Not much else to do at the hotel. The location is great. Walk from the ferry and anywhere in town is 2 minutes away.